With more than 35 years of experience as a legal professional, William B. Hanley has handled a wide range of cases, ranging from litigation to contract disputes to environmental law. Take comfort in his ability to thoroughly prepare for court cases and aggressively litigate against the party that wronged you. There are many different ways that he can help you and your business. Whether you’ve got a case against a former business partner or a construction company that cut corners, Bill can help you seek the justice your business deserves. 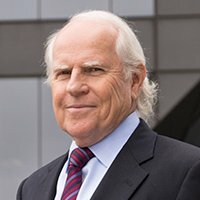 His areas of expertise include commercial litigation, shareholder and partnership disputes, unfair competition, breach of contract, breach of fiduciary duty, business fraud, and business transaction disputes. Court can be an intimidating place to be. With Bill’s dedication and experience on your side, you can go into court with peace of mind that your case is getting the professional attention it deserves. Whether you’re an individual or business looking to file or defend a claim, you deserve to have an expert on your side. 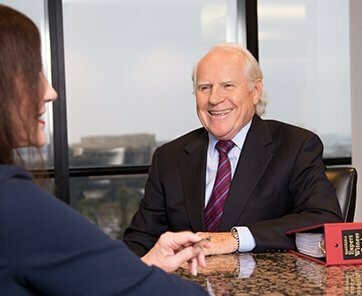 As an experienced Southern California trial lawyer, Bill has handled a wide range of cases involving litigation and civil law. His dedication to quality is reflected in many forms of recognition by juries, judges, clients and peers. Bill has represented California individuals and businesses since 1974. His substantial experience even led to a landmark $50 million verdict in one of the largest punitive damage cases in the state’s legal history. Bill Hanley was recognized by the American Lawyer magazine as one of only a few attorneys identified by clients as a provider of quality service in a first-of-its-kind customer satisfaction study conducted by the magazine. Construction litigation, including disagreements based on contract performance, product liability issues, disputes regarding insurance coverage and surety bonds, and conflicts with subcontractors. Construction defects such as mold, dangerous toxins, negligent design, or the building resting on a faulty foundation. Environmental law, including cases related to reclamation liability and remediation. He is also experienced in defending cases of alleged violation of environmental laws. Real estate litigation, or real estate disputes and lawsuits such as breach of contract, lease termination, tenants' rights, eviction, eminent domain, and foreclosures. Personal injury. Bill helps clients obtain compensation for any loss in a personal injury case, including medical expenses, lost wages, and pain and suffering. Nursing home litigation, or cases of nursing home neglect and abuse that lead to the premature death of the injured person. A wrongful death lawsuit may be brought by the family of the victim or by the estate to compel the responsible parties to compensate them for their losses. Trust litigation. Bill represents beneficiaries and helps ensure that they receive what they are entitled to in the trust.